The Red Cross also dealt with enquiries regarding soldiers who were missing and were later found to have died. 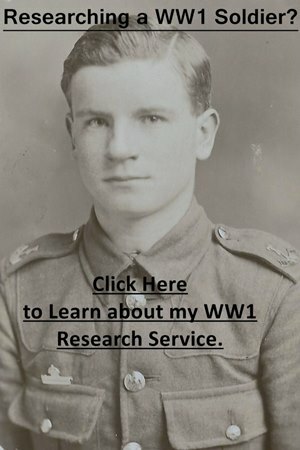 There may be documents which record letters from relatives of a soldier or even information provided by other prisoners concerning their fate. 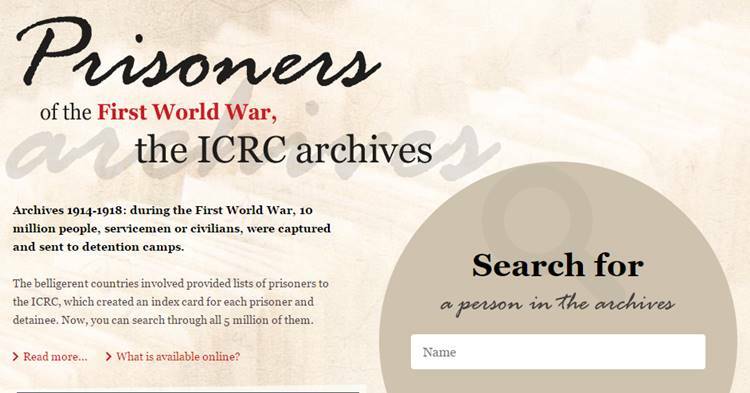 This page will take you through a step by step process to find a prisoner of war record and help you interpret the findings. Once you are on the website you will see the picture below and you can search for a prisoner of war by typing their name into the search bar. I would recommend just searching the surname of the soldier you are looking for. Below is the page which comes up after you have searched a surname, in this example it was Jones. The card which the search selected is the first one for Jones which also contains a number of phonetically similar spellings. On the left-hand side you will see a number of different units which you can select. It may take a while for you to find the soldier you are searching for. When clicking on the units on the left hand side new cards will be displayed in the centre of your screen. These cards will display a soldier’s name, regimental number and unit. Move your mouse over the card and a red bar will appear with “Additional Information about this person”. Click on the bar and you will be taken to a page shown below. This is the index card for 235576 Private Albert A Jones who was serving with B Company, 4th Battalion, East Lancashire Regiment when he was captured. You will then need to enter the PA numbers into the box on the right, in this case, 21890 and then 30069. After you click search a document will appear showing the information the Red Cross holds. For Albert Jones, we can see that he was captured at Argicourt on 24 April 1918 and his address was recorded. 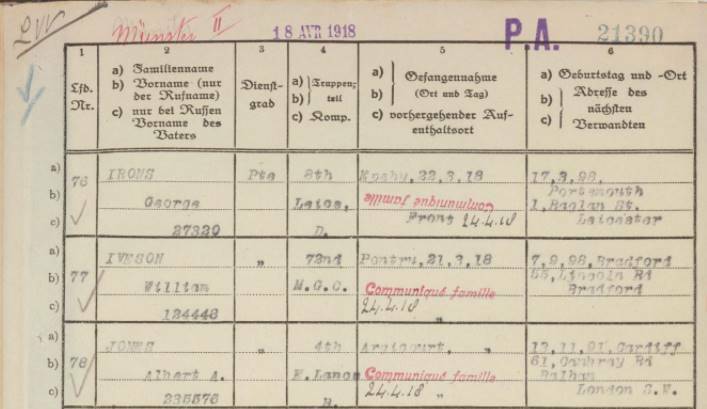 You must then scroll up the page to see where he was held, though in this example the POW camp was recorded on this page as Munster II. However, not all pages will have this recorded. If you look at the left hand column you will see that Albert was number 78 in the list, once you get to the top of the list it will tell you where he was held. The prisoner of war camp recorded is not necessarily the camp the prisoner was held in for the duration of their imprisonment. Once you have the date a soldier was captured you can then turn to the unit’s war diary to find out more information regarding the circumstances of their capture.